Mary Lynn Fahey, APRN is a dual Board-Certified Family and Adult Nurse Practitioner. She received her BS in Nursing at Russell Sage College in Troy, NY and earned her Masters of Science in Nursing at Simmons College in Boston, MA. Mary Lynn is currently completing her doctoral work at Simmons College, Boston, MA. Her research interests include Autism Spectrum Disorders, family functioning, and resilience. Mary Lynn has worked for over 25 years in the nursing field in a variety of medical, pediatric, and family practice settings. She holds a special interest in adolescent and orthopedic care. Throughout her career, Mary Lynn has been involved in several nursing professional organizations to include the NPACE Board of Directors, the Executive Board for the NH Nurse Practitioner Association, and the NH Organization of Nurse Executives. She also served as the NH State Representative for the American Academy of Nurse Practitioners. Her career is distinguished as a Fellow at the Faculty Institute for Gerontological Nursing through the Massachusetts Senior Care Foundation and UMass Lowell School of Nursing. She continues as an Online Course Design Fellow at the CATLR Center at Northeastern University, Boston, MA. Mary Lynn’s research has been published in the American Academy Nurse Practitioner Journal and she conducts workshops and lectures both locally and nationally. 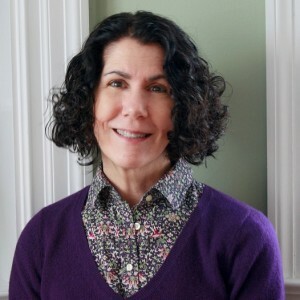 She is an adjunct professor at Rivier College and Simmons College in both the undergraduate and graduate programs and currently the Director of the Family Nurse Practitioner Program at Northeastern University, Boston, MA. She especially enjoys spending time with her husband, Bill, three children, dog, and family members and running marathons with her husband.